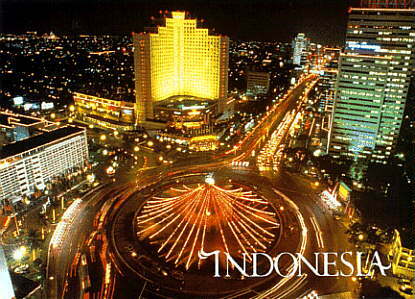 Our company is fully licenced and based in Jakarta, the capital city of Indonesia. We earned our reputation through hard work and dedication, fulfilling the needs of each individual traveller from around the globe. We have been in service for more than 20 years. We are a member of prestigious tourism organizations such as PATA, SITE, ASTA, and IATA. An impressive range of tour packages that make a fascinating journey of endless diversity. Special interest tour packages like eco & etno tourism, golfing, diving & trekking. Tailor made tours to suit your interest. Come and visit Indonesia, land of natural beauty, cultural wealth and crystal clear waters. Intriguing places of interest await you here.... mystical Bali, the Borobudur Temple, the finest monument of Buddhist civilization, Bunaken sea gardens, with fascinating marine life, the serene beauty of Lake Toba, Tana Toraja, land of the living dead, and more. Enjoy an exciting and fascinating experience that will leave you with fond and lasting memories.